Infants and toddlers should ride in rear-facing car seats as long as possible. • Find the right car seat: There are several car seats available to keep children riding rear-facing longer. 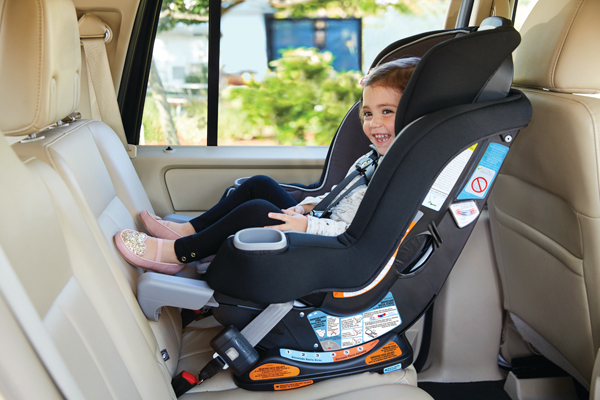 For example, Graco Extend2Fit car seats feature a built-in extension panel to provide extra legroom rear-facing. The extension panel is included on nine models, seven of which accommodate children up to 50 pounds, rear-facing. To learn more about these car seats, visit gracobaby.com.